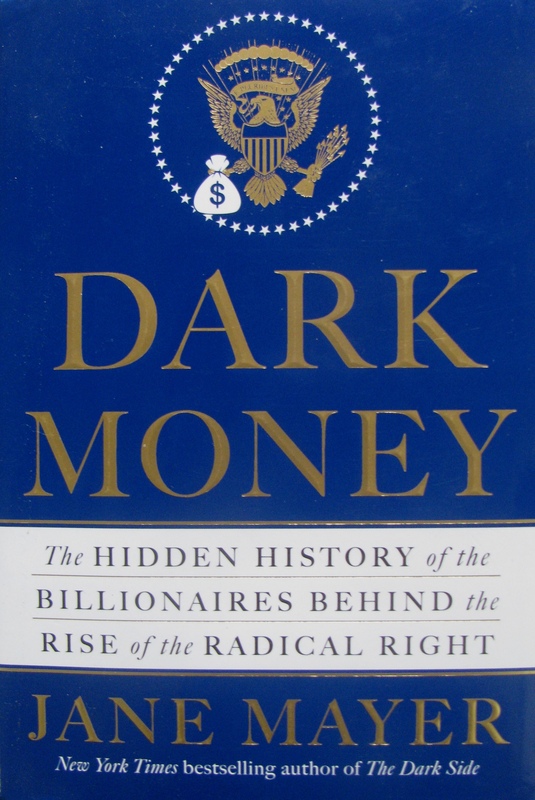 Jane Mayer’s book ` Dark Money’ is a well-researched account of the rise of the far right in American politics through the twentieth century and into the twenty first. The book illustrates how a tangled web of donations, charities and think tanks secretly funded by conservative, super wealthy businessmen, pushed a brand of libertarian (not to be confused with liberal) politics that sought to reduce government control. Protected behind the seemingly benevolent public façade, was inherited wealth and business interests, including in some cases – industries damaging the environment. Of particular interest to me – being an Indian reader, whose impression of the US is largely as one of the world’s major democracies and a country of great universities – is how academia was penetrated by this group. They patiently wait for a new crop of sponsored academics and researchers to shape the thinking behind government policy, to their tastes. As the book shows, at a global level, one of the casualties of the conservative business-academia nexus was the climate change debate. Dark Money is heavily focused on America; so much so, that for a reader in India, the book can at times, be a plod. It strikes a chord because of a few factors. First, it reminds you of the growing subversion of our times by money. Second, what unfolded in the US is being copied in India. Third, the libertarian agenda is amid wealth distribution, increasingly polarizing in society. Even if a libertarian economic agenda is not yet pronounced in India, economic inequality is significant and polarized wealth is becoming a fashionable state of affairs. Fourth, as a pattern of social and political behavior what is narrated in the book is relevant to any geography that is home to conservative business minds. In the end my take away from Jane Mayer’s book was the pattern of manipulation it exposed. This is a book that by virtue of what it unearths makes you aware of the dark side of the political right; for that matter, the dark side of any political side – right or left – as these patterns can be anyone’s chasing exclusive agenda for power. It makes you aware of the intelligent subversions that characterize contemporary life.